Cari Pasangan Hidup 2019 Siap Menikah - diri Dosen di salah satu perguruan tinggi swasta 1. PTC Jakarta College as Accounting Teacher in 1990 ( Part timer ) 2. Jayasunli Polyester Co.ltd as Supervisor of Accounting & Finance in 1995 ( full ) 3. Norton Computer Centre as Computer Instructor in 1995 ( Full Time ) 4. 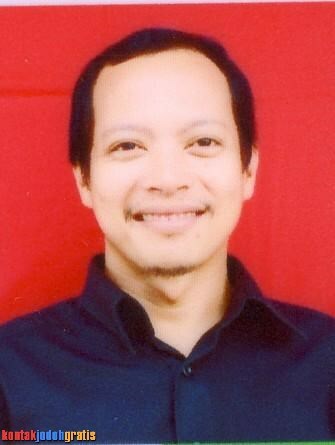 Krisnadwipayana University as Coordinator of Computer Lab in 1996 ( Full Time ) 5. 17 Agustus 1945 University as Coordinator of Lecturer in 1997 ( Full Time ) 6. IKAI Gajah Mada Plaza as Computer Lecturer in 1997 ( Part timer ) 7. IKAI Taman Anggrek Mall as Computer Lecturer in 1997 Part timer ) 8. Pakar Solusindo Computer as Computer Instructor in 1997 Part timer ) 9. Professional Institute as Computer Lecturer in 1998 ( Part timer ) 10. Global Private as Computer Instructor in 1998 Part timer ) 11. EAC Private as Computer Instructor in 1998 ( Part timer ) 12. LDK Kalimalang Private as Instructor in 1998 ( Part timer ) 13. Yudhatama Computer Course as Computer Instructor in 1999 ( Part timer ) 14. lntelecta Computer as Computer Instructor in 2000 Part timer ) 15. LIA English Course as Computer Lecturer in 2001 Full Time ) 16. Al-Sofwa Foundation as Computer Programmer in 2001 ( Full Time ) 17. Eclipse Computer as Computer Instructor in 2002 ( Full Time ) 18. Lepisi Computer as Computer as Computer Instructor ( Part timer ) 19. Yushu Computer as Computer Instructor in 2003 ( Part timer ).